Fort Collins Symphony Association’s board president Rhett Strom recently announced the Symphony’s 2017-18 Season of Diversity. Having just concluded a season with record-breaking attendance, the Fort Collins Symphony will begin its 68th season on October 7, 2017. Under the leadership of award-winning conductor Maestro Wes Kenney, the professional orchestra will perform a rich range of symphonic music. From the rhythmic pulse of Chinese drums, the haunting echoes of a Native American cedar flute to the lilting draw of a French bow over a viola string, and the toe-tapping vibrancy of a Latin tango, the music will enchant audiences. 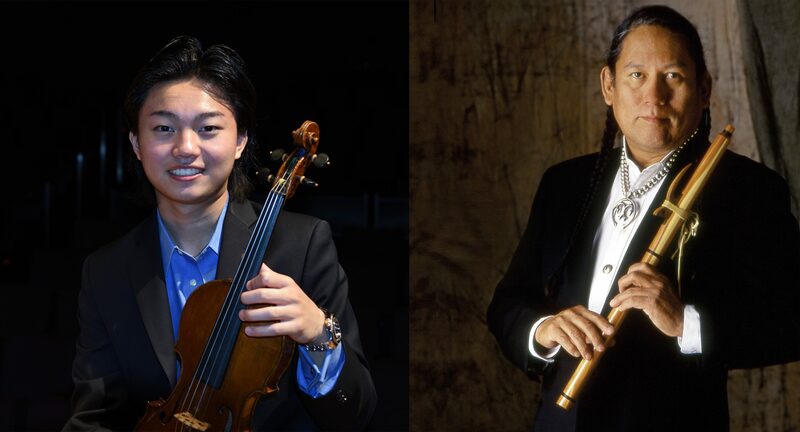 Guest artists include 16-year-old virtuoso Ray Ushikubo, Korean pianist Ju-Eun Lee, violist Nokuthula Ngwenyama, Native American flutist R. Carlos Nakai, and percussionist Michael Tetreault. The season begins with Sibelius’ ground-breaking Symphony No. 5, Wieniawski’s lush Violin Concerto No. 2, Adolphus Hailstork’s moving Three Spirituals for Orchestra, and Marquez’s vibrant Danzon No. 2. The second concert on November 4, 2017 features Mendelssohn’s Symphony No. 3 and Beethoven’s beloved Piano Concerto No. 5. Highlights of Masterworks 3 on February 3, 2018 include Hilary Tann’s With the Heather and Small Birds, Haydn’s Symphony No. 94, Hindemith’s spectacular Schwanendreher Concerto, and Ibert’s energetic Divertissement. The orchestra will perform Strauss’ Don Juan, Zhou Long’s The Rhyme of Taigu, Liszt’s Mazeppa, James DeMars haunting Two World Concerto, and Piazzolla’s Libertango on March 3, 2018. For the April 20, 2018 Pops concert, the orchestra will present an entertaining evening of Broadway music featuring Broadway actress Patty Goble. The Season concludes on May 12, 2018 with Jennifer Higdon’s ethereal blue cathedral, William Kraft’s spirited Timpani Concerto No. 1, and Tchaikovsky’s Symphony No. 4. Season tickets are now available for purchase by calling the Lincoln Center at 970.221.6730. Single tickets will go on sale beginning August 16, 2017. Fort Collins Symphony Concerts are sponsored by the City of Fort Collins Fort Fund. For more information about the upcoming Fort Collins Symphony Season, please visit the Events page or call 970.482.4823.